This year’s League Cup final saw League champions Headington A face Watlington under the floodlights at Kidlington. Headington were looking to collect their fifth League Cup title in a row, whilst their opponents Watlington had reached the final for the first time, after celebrating a solid year in Division 1. With the floodlights warming up and a packed house of support – the stage was all set. Unfortunately for Watlington, Headington were quickly into their stride and in no mood to let their chance of another League and Cup double slip away. By 6 ends, Headington were already 24 shots up on the game, with Captain Mark Charlett once again leading the charge. 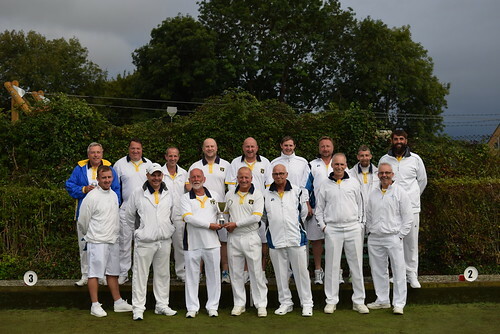 Despite Shane Cooper and Steve Gilkes mounting a fight back for Watlington on both their rinks, Headington stretched their lead even further and the game finished with a few ends to spare. Headington A 77; Watlington 38: H Watts 15, S Gilkes 10; M Charlett 29, D Auger 10; N Rae-Welsh 15, S Cooper 10; J King 18, S Watts 8.